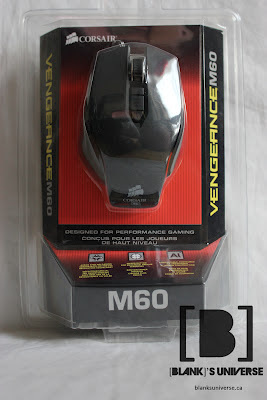 Corsair has introduced many new products to their Vengeance line up, and the Vengeance M60 is Corsairs take on a FPS gaming mouse. 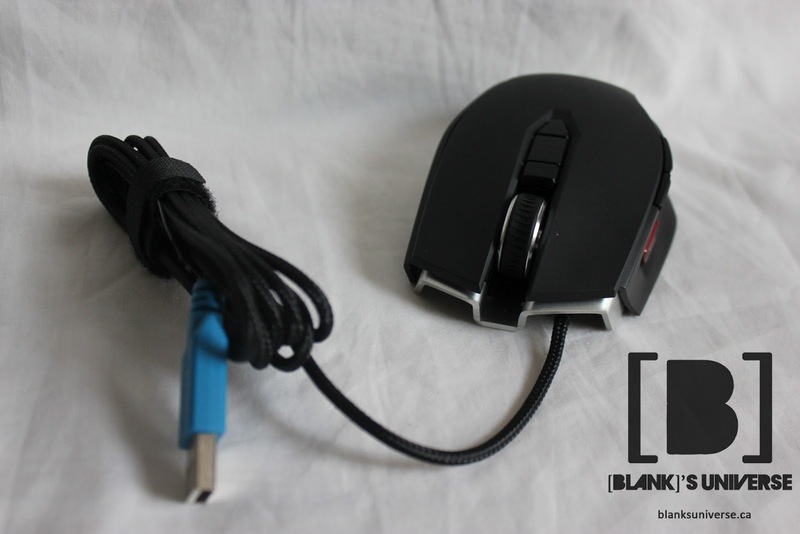 The M60 can be considered the little brother of the M90, which is a MMO optimized mouse. With fewer buttons then the M90 and a dedicated sniper button that instantly lowers the DPI of the mouse, the M60 should really fit in with the FPS gamers on the market. The M60 come in a red clam shell package similar to the blue one the M90 come in. 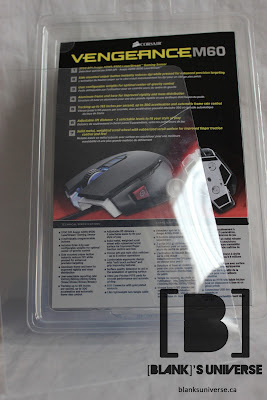 It appear to be packed in those annoying blister packs that no one can ever seem to open without stabbing themselves a few times with a pair of scissors, but thanks to the guys at Corsair, its as easy to open as, well tearing out the perforated cut out at the back... A big thumbs up to Corsair for adding a simple way to open a normally very hard to open package. It isn't as attractive as many of their competitors packages but the space is used more efficiently and it has many different languages. 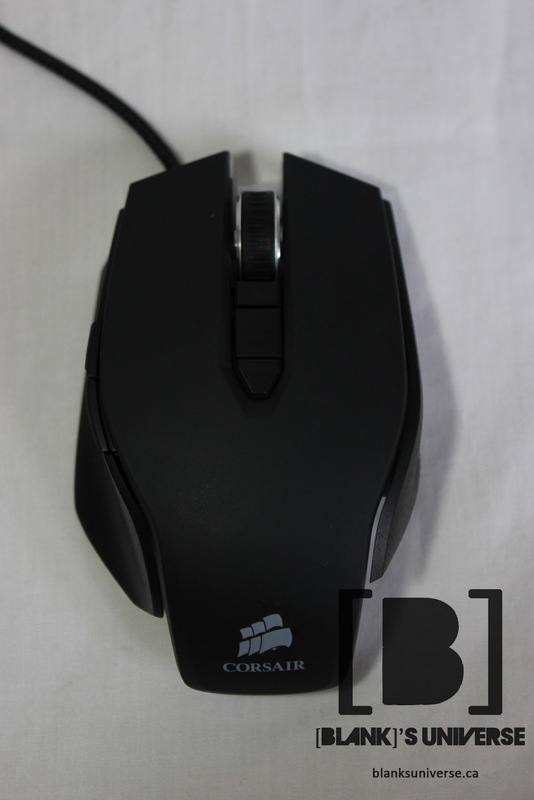 The Corsair Vengeance M60 is a very attractive mouse with a striking design due to its brushed aluminium frame that is exposed from the rest of the mouse. 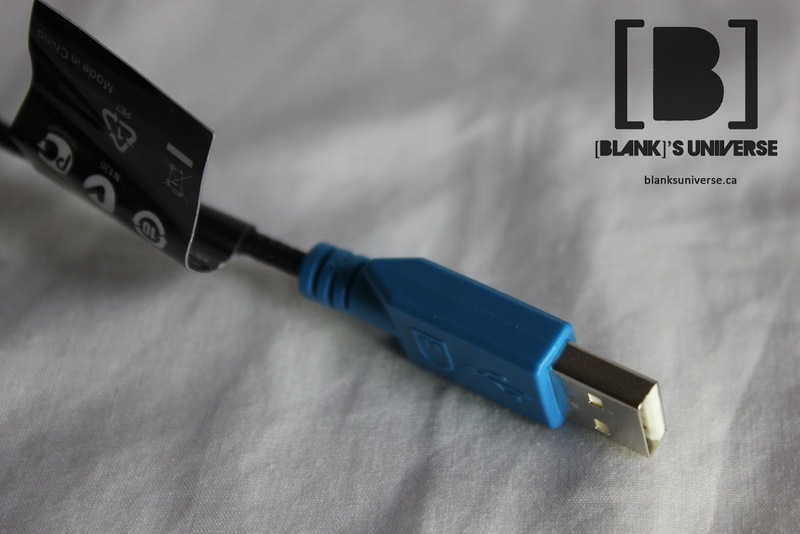 It has a tightly braided cable that is unlikely to get caught on anything while gaming. 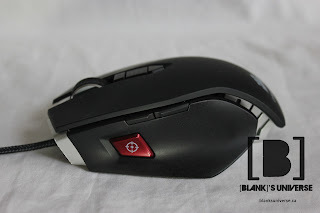 The top of the mouse contains the two soft-touch plastic left and right-click mouse buttons as well as a aluminium scroll wheel with a rubberised top. Located below the scroll wheel are the two buttons used to adjust the DPI (Dots per inch) as well as 3 LEDs that indicate the current DPI setting. 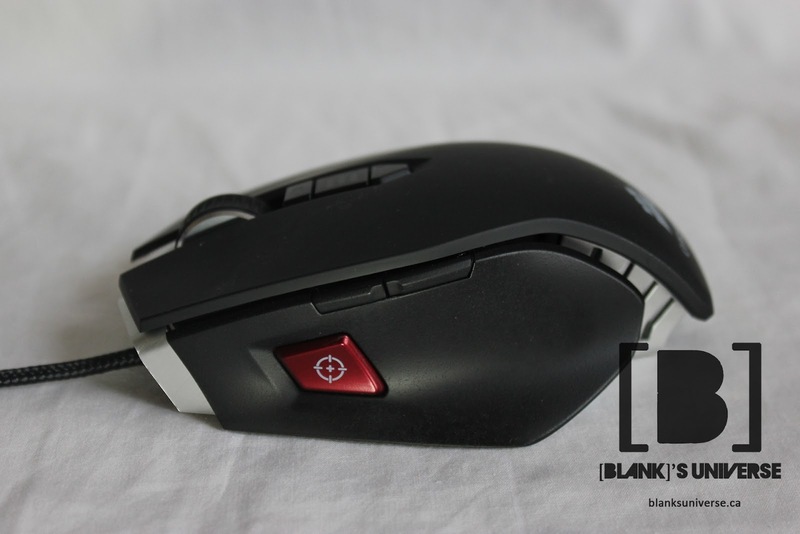 On the left side of the mouse, there are two additional buttons used for navigating forward and back as default as well as a dedicated 'Sniper button' that lowers the DPI while it is held down. 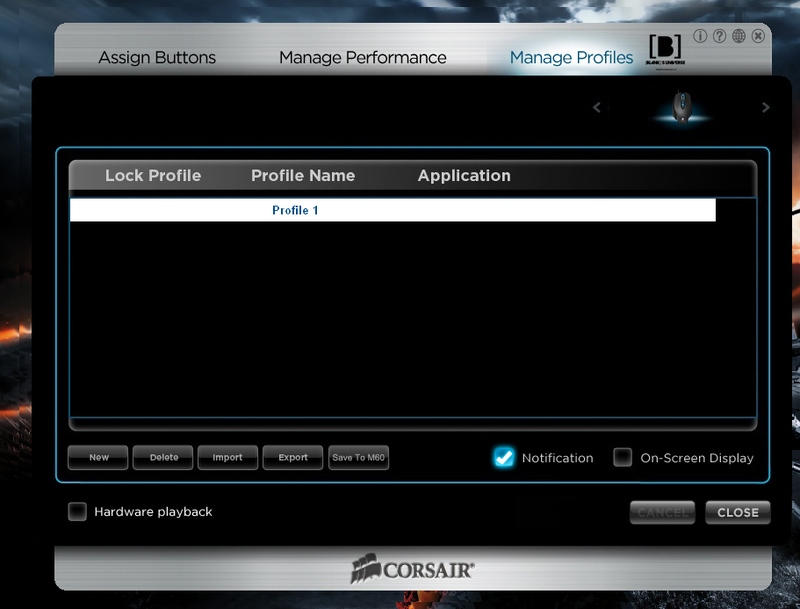 All three of the buttons can be re-tasked in the included software. The right side of the mouse is left blank, for obvious reasons. 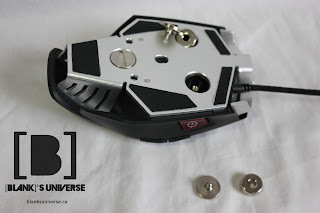 Located on the bottom of the mouse contains the high-spec 5700 DPI sensor (where else can you put it) as well as 3 separate compartments where 4.5g can be added to change the weight and balance point of the mouse. The compartments are located on the top centre, bottom right, and bottom left of the mouse, allowing you to move the balance to those corners. There are very large 'Glide Pads' located on every side of the mouse which provides, uhhh well pretty much what mouse feet do. The M60 software can be downloaded off the Corsair website and is relatively easy to use (unless you had difficulties with step 1 and 2 of the instructions, then good luck). The first tab on the software (assign Buttons) allows you to reassign every single button on the mouse and allows you to set simple key presses, OS functions, and a list of playback controls. The next section 'Manage Performance' allows you to change settings such as the lift height and response rate. 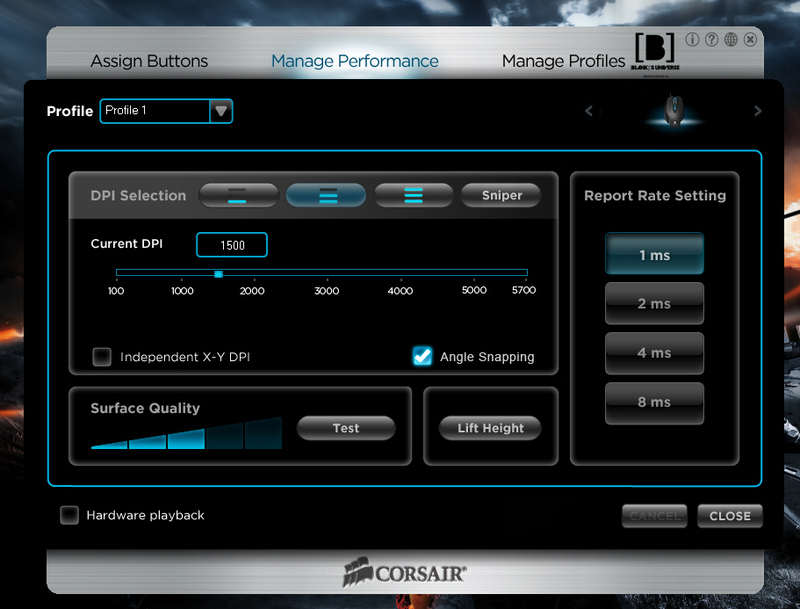 The four DPI profiles (1,2,3,Sniper) Are also set from this tab. 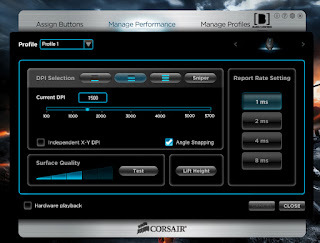 Corsair has also added that ability to test the quality of your mousing surface, which is quite useful in my opinion. 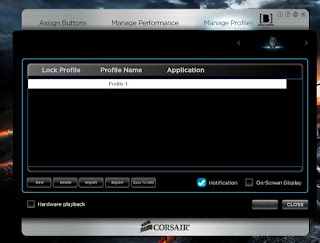 The final tab 'Manage profiles' allows you to well, manage your profiles. The software allows you to set different macros for different games so they would automatically switch to the correct one, which is pretty cool. 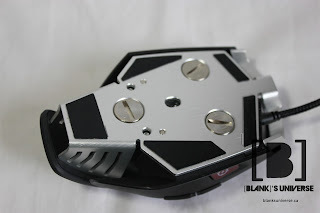 The high-spec sensor allows for very accurate tracking once you get used to it, the sniper button also is a very needed addition while sniping. Without pressing down the sniper button, trying to make small movements while zoomed into a scope was impossible as it just twitched everywhere. 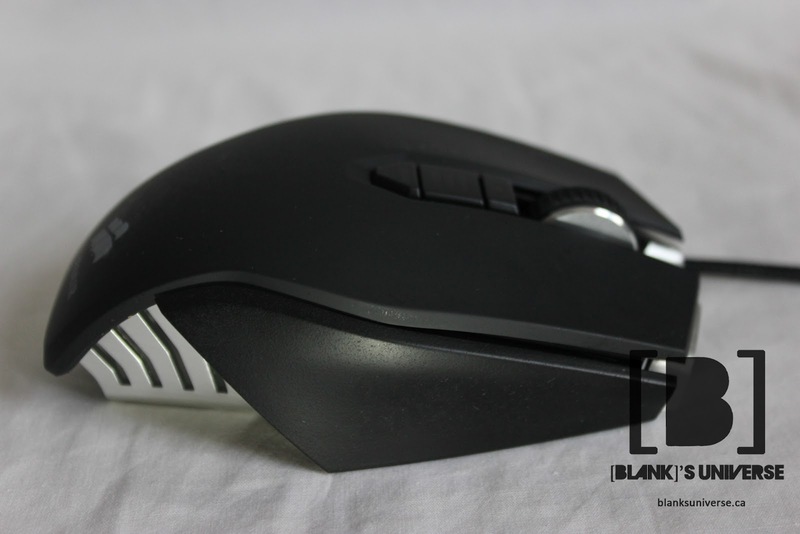 Fro regular use, this mouse is still very comfortable and very easy to use. The two back and forward buttons are well placed and very easy to press while browsing the web. 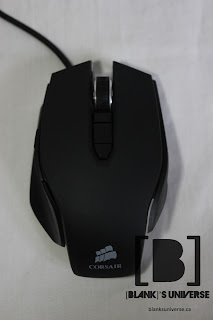 The heavy duty scroll wheel is also very comfortable and the clicks are very satisfying. The Sniper button can be remapped to do other task while inside windows aside from lowering the DPI such as showing your desktop or copy something. The shape of the mouse if very comfortable with a claw or palm type grip on it, the textured sides of the mouse also allow easy gripping of the mouse. 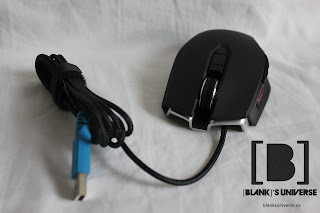 The exposed aluminium frame provides a unique design and the insides feel very exposed similar to the R.A.T series of mice. 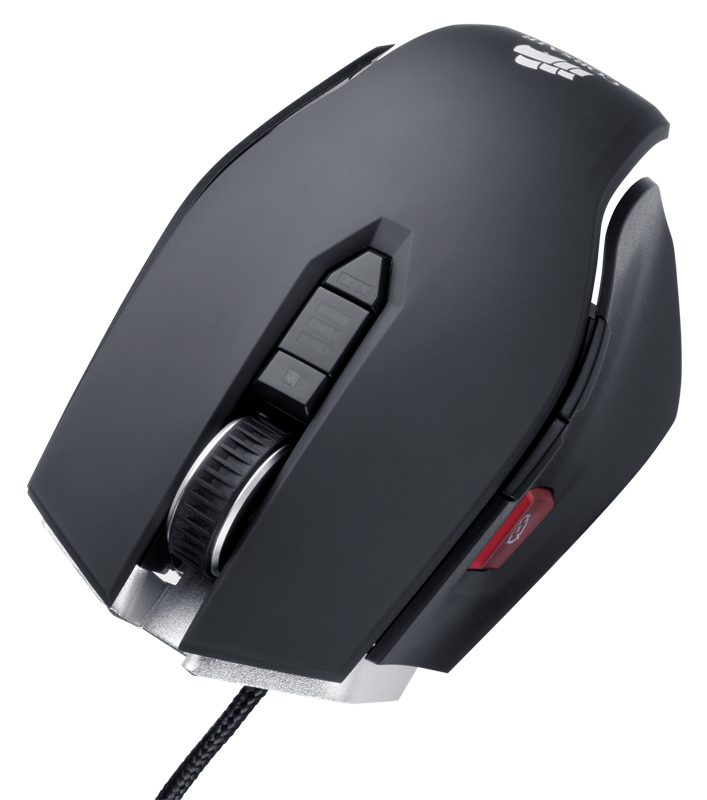 The subtle blue back light on the scroll wheel adds a nice touch to the mouse. The M60's aluminum construction also makes it very durable against expected rage sessions of FPS gamers.